12-25-03 - DREAM - I was flying in the air - (I don't recall how that came to be), I came upon a farm where the farmhouse had been demolished and destroyed. I had a long sharp knife in my hands and as I swooped around the landscape on the side of the hill, I saw ponds and marshes at the bottom of the hill. But I turned and went back on on the side of the hill, with the knife I cut a large inward moving spiral with many loops. 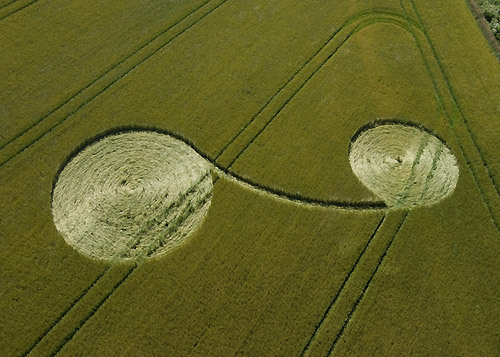 I knew I was making a cropcircle. Fort Nelson, nr Portchester, Hampshire. Saturday the 10th of June we were privileged to film a beautifully crafted and very well constructed formation near to Nelson’s Obelisk and also near to the Roman port of Portchester, which prior to the Romans arrival had been an ancient settlement. 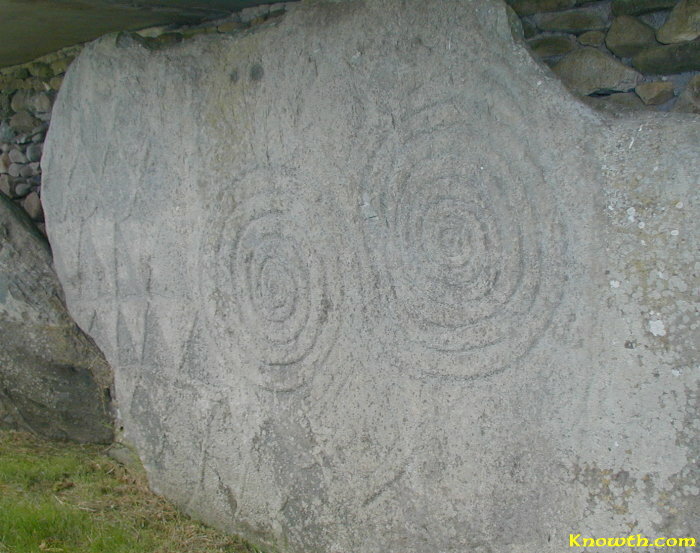 The motif of the formation was very similar to some of the carvings in the Passage, Chamber and in particular one of the external stone carvings kerbstone 67 at Newgrange Ireland. Newgrange dates back to about 3200 BC and I feel it is well worth visiting their web site as it clearly shows the amazing similarities to this exceptional formation. Location: Fort Nelson, nr Portchester, Hampshire. Reported 11th June. We received a message from Todd Jumper on 2-26-98 that he had had a series of visions of symbols that evening. We posted them immediately as we were researching symbols and were posting them on our web-site. 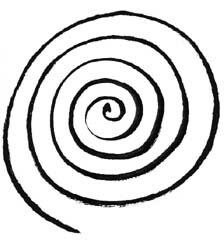 Below is a drawing of one of the symbols received in the vision comparing it to the crop circle at The Liddington Castle Formation which appeared July 28, 1997 in Great Britain. This does not as yet give us the meaning for the symbols, but we are studying them to find out. What information this DOES give us, is that messages from "spirit" and/or "alien/ET" influences are coming to us in various ways, through dreams, through visions, and through physical manifestations on the ground. We NEED to know what they mean. It is important for our future to know these things. 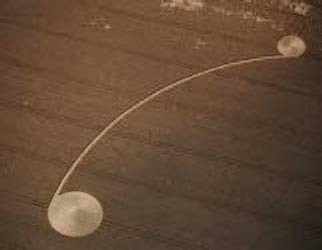 7-13-98 - Since we first posted Todd's vision/crop circle coincidence, we have continued to find more coincidences. See them below. The following show a similarity in pattern forming. 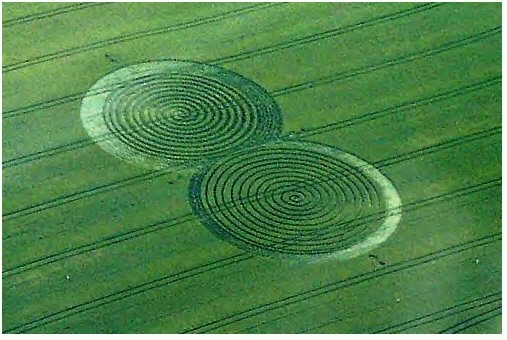 The person who dreamed the crop circle had not seen these crop circle patterns. 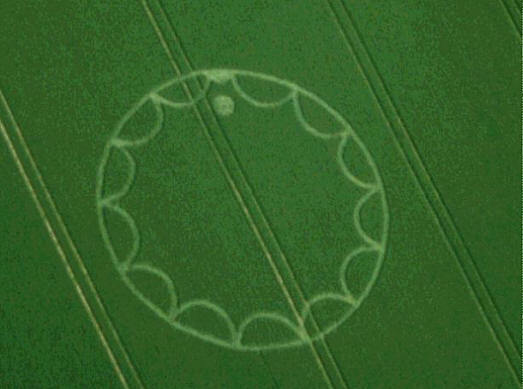 Crop Circle dreamed by Jeff M.
Dee's vision was 26 days prior to publishing of the pictures, and had not seen the crop circle report. I was on a mothership (same one as always - some sort of school due to most dreams i am in a classroom of sorts) floating above earth ... anyway it was a computer class whatelse....should have guessed as I work in the IT/computer industry) and we were all in front of our terminals and all I can remember from the dream was that we were all uploading parts of a program which was a project of some sort (this bit is humurous) as the upload bar (exactly like netscape) was on 98%.....2% to go......!! 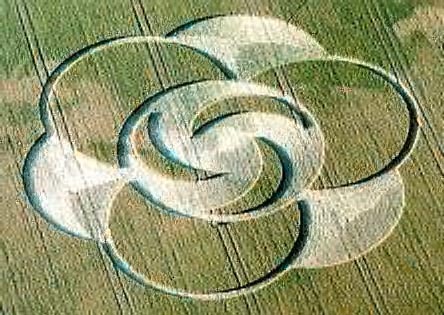 What shocked me out of my deep-dream was when I realized that all the parts of the program where crop-circles that were been uploaded "Destination : Earth"...........and heard the instructor saying ......"the project is nearly complete and in place, 2% to go, as soon as all the modules are uploaded we can activate the program, the next 2% is intensely structured and complicated and will utilise alot of processing power..."
That's when my eyes shot open and I couldn't sleep any further as I was contemplating/pondering the crop-circles been some sort of earth-software.....perhaps a new program been put in place......perhaps new earth-grid related or some sort of another program..maybe dimensional gateway or something......that they actually serve a purpose and not just some pretty glyphs in the grass to look at. 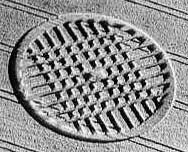 A topic I didn't know a lot about was crop circles until I met Joe Mason in 1997. The following meditation was in 1992, but it wasn't until the year 2000 that it came to pass just like I saw it. I don't know why it takes so long for some things to manifest. It's possible that these events occur this way just to show us that 'time' has no meaning; at least not outside of the physical earth-time. That's just a guess, but unless I could ask 'them' the reason for it, that's all I have to offer right now. And who is 'them'? I really don't know. They don't tell me their names or where they are from either. And if I asked them their names and address, would I know where that was? Probably not! 8-9-92 - Meditation - I was just trying to quiet my mind and a tall, dark-haired woman came in and started speaking Spanish to me. The only word I understood was 'Bravo'. Then I was sitting at a banquet table all by myself and she brought what looked like 3 pizzas and set them on the table. She again spoke Spanish and I thought she was talking about the pizzas. The disks were about 12 or 14 inches across but looked like pink and white waffled squares, and she said that these might look like pizzas but there was no cheese. 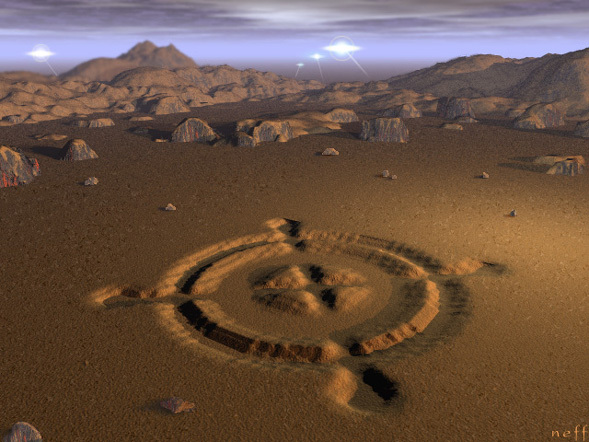 NOTE: interestingly enough, three crop circles appeared that looked just like this in the year 2000. Adams Grave, nr Alton Barnes, Wiltshire. Reported 12th July, 2000 East Kennett, nr Avebury, Wiltshire. Reported 2nd July. 2000 Dodworth (3), nr Barnsley, South Yorkshire. NOTE: This is the first time I saw the symbol so far in advance of the crop circles, but certainly not the first time I've dreamed the crop symbols. On that page after reading about Gilgamesh and being in a new frame of mind as it was my first time understanding who and what his name means in history. (Thanks lord for internet sharing ;) I had a revelation now looking at that very page/URL above. While looking at the first photo on the page from the left I'm reminded of a Twin Star system where each sun is opposing the other. Eg. 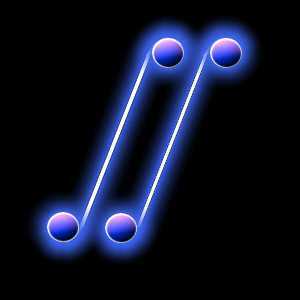 Star.1 spins clockwise and Star.2 counter-clockwise where A star is receiving particles from the larger star from it's instability as star systems go when being created. (I've been frequenting Astronomy.com photo galleries recently.. their quite nice but not all that you would be looking for.). Next in my mind is the second Row down on the page. I can speculate what it is but it's beond my knowledge of stars... seemingly looks like a solar system. Third row on that page was the Peak of my insight to those crop circles. 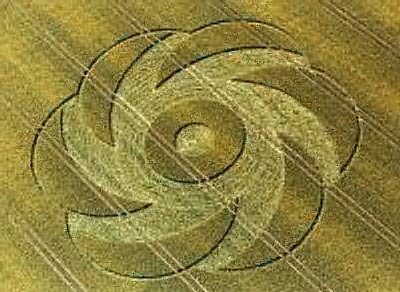 It seems that my slightly altered frame of mind from reading all that Mythology Gilgamesh story had allowed me to view the Spiral like Stencil crop circle formations in a Three dimensional manner. I tilted my head a little and there it was. I saw first in the center, a 3D looking Sperical in shape thing... like a Tube of some sort with Cut out Shielding around it. Left of that is when I noticed a the twisting effect that has been put into the crop circles with great precision and not seeming to show up in conciousness properly. It is to me a 3D model of Particles, creating a Molelcule and only in Excample. What is important here, the underlined message I believe coming through these pictures is what recently has been known as Teleportation. If you see this 3D picture of a Molicular structure dipicting the twisting of Atoms necessary for teleportating then let me know. I've recently heard about this on the news and maybe those crops where a Pre knowledge while the technology was still being developed. Those pics were taken in Britain. . It's been good. Thanks for giving the time to read about this idea that just popped into my head.